You should do your homework on any accelerator you’re considering. What do they offer? What are some of their success stories? What happens to companies that don’t succeed? How often do their teams get funded? Depending on the accelerator you join, you’ll get very different answers to those questions. Make sure to not only talk to the accelerator but also past companies, both successful and not. I think these groups are really important to early-stage startup attempts — the mentorship, community, and exposure they offer far outweigh any equity you might share with them in return. Don’t get caught up in trying to build something perfect; focus your efforts on customer development and proving your assumptions, so they can help you move that learning into a solid first product. After having a detailed discussion with TechStars graduate and Contently.com co-founder Shane Snow, my takeaway was to have built an impressive resume of personal accomplishments to show you’re capable of actually building a real business. Incubators and accelerators want to train entrepreneurs, but they need to make sure you’re coachable and have actual potential to become a real star. You need to dedicate your time into this — it’s an endeavor that requires focus 24/7. Also, look at the opportunity as a time to find the right co-founder, strategic partners, and to be honest and upfront with the organizers about what you need. The more you give, the more you get! Demonstrate commitment and focus on results; incubators and accelerators invest in people and teams more than markets. It’s important to have a disruptive idea, but the drive and capabilities of the team are much more correlated to success than the size of the market or details of the business plan. They want to see a smart, dedicated team that is passionate about executing. If you are thinking of applying to an incubator or accelerator, be sure to find the best. Even if you have to give up a larger portion of your company, it will be worth it for the amount of growth it will help you with in comparison to a lesser organization. Also, look for synergy and people whom you work well with — you want to feel welcomed into your new home. All incubators and accelerators are not created equal. Some incubators focus on landing funding, others focus more on helping you build a revenue-generating firm. Make sure your goals align with that of your program. Doreen Bloch (@DoreenBloch), Poshly Inc.
Before applying to an accelerator program, I would talk to alums of the program to make sure they had a good experience. It also might help if you could get some time to validate your idea for a business before jumping into one of these programs. Make sure the “proof of concept” even makes sense. Many incubators are looking for the entrepreneur to make some type of pitch, so it’s important to practice, practice, practice. The more excited that you can make them about your concept, the higher likelihood that you will get accepted to the accelerator. When creating your pitch, keep in mind that you want to convince the judges that your startup is truly going places. It’s going to be so successful that they will want to attach their name to get behind it. Show them that you’re going to be successful no matter what, so it’s in their best interest to have you affiliated with their program. Remember, people are investing in you more than your idea. Businesses are fluid in the startup stage. Which means your personality and background is what really counts. While pedigree or experience matter, your curiosity, obsession and commitment matter more. Character trumps credentials. What’s the riddle you’re trying to solve? How have you overcome failure? Make them believe in you. 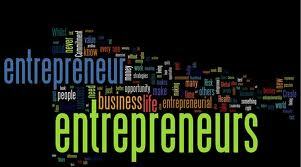 Good entrepreneurs know a lot about their business and their market. But can you communicate this expertise in a way that resonates with decision-makers in the incubator and accelerator programs? Start by reading “The Art of the Start” by Guy Kawasaki and learn the “business of business communication” in the startup phase. Think about what you aim to get out of the incubator or accelerator program in mind. People tend to assume that these are great kickstarters, and they can be, but it all depends on timing. Joining one at the wrong stage of your cycle can be feedback overload, or slow your growth in other ways. Sometimes you need to collect input and test your idea, and sometimes you just need to build. Entrepreneurs are going to make mistakes and get things wrong more often than not. I suggest getting as much accomplished in the real world before applying for incubation. The more you can do before you need the help, the better your terms will be and the more serious they will take your application. These are great opportunities, but your business must happen with or without them. It’s easy to get caught up in the excitement and the aspiration of being accepted to a “prestigious program” — after all, it’s validation that you’re on to something! But if things don’t work out, the show must go on. Your goal is to create a company, so don’t lose sight of the bigger picture.